Welcome to Part 3 of our Downsizing Guide. This easy to follow guide is designed to help you take on the task of downsizing in simple, manageable steps with a goal towards creating more joy in your life and home. As a quick review, in Part 1 we discussed how to gain focus, evaluate your needs, and create a plan. Then in Part 2 we took a deeper dive into creating possibilities for your new spaceusing a mixture of furnishings and decor that you already have combined with new items that you need to purchase. You were encouraged to create 3 complete plans for your new space and select the one you really like. Now we are on to the fun part - how to complete yourPossibility Creation for real! We imagine that you have a list of items that you need to shop for to create your ideal environment, but where is one to start? That’s a very good question. There’s certainly no shortage of options for shopping online or even by catalog. We encourage you to utilize these options to find inspiration, research, and perhaps even make purchases, but there are a few important things to consider about ordering furnishings before inspecting or touching it in person. What do I need to consider before buying online? · If it’s possible, go to the store or showroom and see it before buying. Take a close look at the materials, fabric and construction. · Get a sample of the fabric. Is the weight, feel and color what you expected? What is the material made of? Consider how it will hold up in your household, particularly if you have children or pets. · View as many photos of the piece as you can. Look for details in the finishes such as texture, distressing, or polish. · Make sure you understand how to clean and care for the piece. · Never purchase a piece without knowing the full dimensions. You need to be sure that it will work and fit in your space. · Is it going to be delivered assembled or will you have to put it together? Are you prepared to do that on your own? · Are your doorways or stairways wide enough to accommodate delivery? Larger pieces sometimes will not fit and require some creative thinking. · Can you return it? The last thing you want is to be stuck with something that you don’t like or doesn’t fit. · Read the customer reviews for any item you are considering purchasing. If online or catalog shopping isn’t for you, visit furniture show rooms or work with a decorator to order pieces for your space. You may find that this takes some of the mystery out quality expectations, delivery and set up. Take your time to shop around and round up a few options from which to make your final selection. With so many details, how can I stay organized? Utilize our Action Plan worksheet to help you manage the process. This will enable you to create a complete list of what must be done in order to have your new home ready to live in and love! We encourage you to be extremely thorough with this list—no detail too small to be put on the list to be choreographed and checked off. Once you have the list, prioritize and give yourself some deadlines. Some items may need to be ordered early, but won’t be delivered and installed until later. Take care to attend to this level of detail so you won’t have any surprises. It would also be wise to assign actions to someone so that they have the accountability for getting it done and done well. When the list is complete, reviewed and accountability assigned—it becomes “go time!” and you work from the list to accomplish the tasks according to your timeline. Wow! Can you see the end insight? You are almost there!! Stay tuned for the final step in this series next month – Make it Real, Celebrate and Review! Need a helping hand? 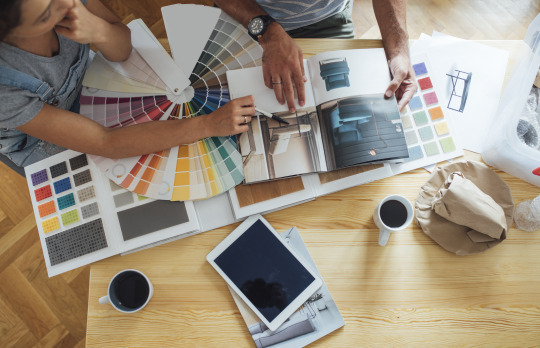 Click on the Find Your Local Decorator button below and reach out to your local pro who will be happy to help you with your Downsizing Project.